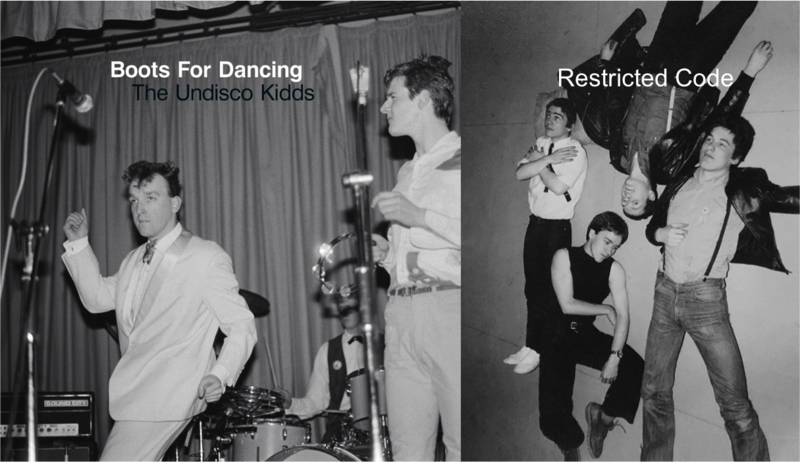 Time for a post-punk funk revival dontcha think? 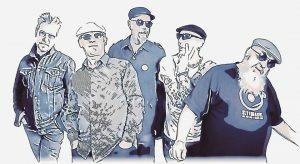 If you remember that sweet time from 1979 to 1981 when a host of new bands hit the scene and brought a punk sensibility to a funky beat, you will not want to miss this one! 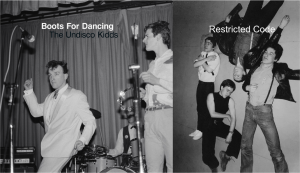 Boots for Dancing and Restricted Code were part of the influential post-punk movement celebrated in the film Big Gold Dream made in 2015 and feature on the new Big Gold Dreams definitive collection of Scottish Music. Meanwhile, on the West coast, a similar picture developed when a group of friends from Easterhouse got together as Restricted Code. They too melded punk with funk and soul to create an incendiary live act that led to them being signed to Bob Last’s new label Pop:aural. Restricted Code enjoyed fantastic critical success and something of a ‘cult’ following. 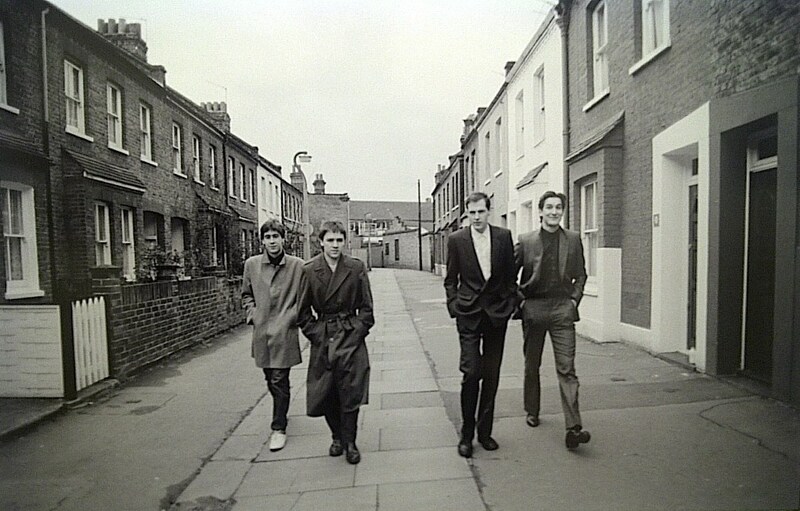 Paul Morley in NME picked them as “band most likely to…” in 1980, Sounds music paper claimed they delivered the “best gig of 1980”, and there were numerous rave reviews and extensive features in magazines including The Face and Melody Maker. So yeah, how about that? 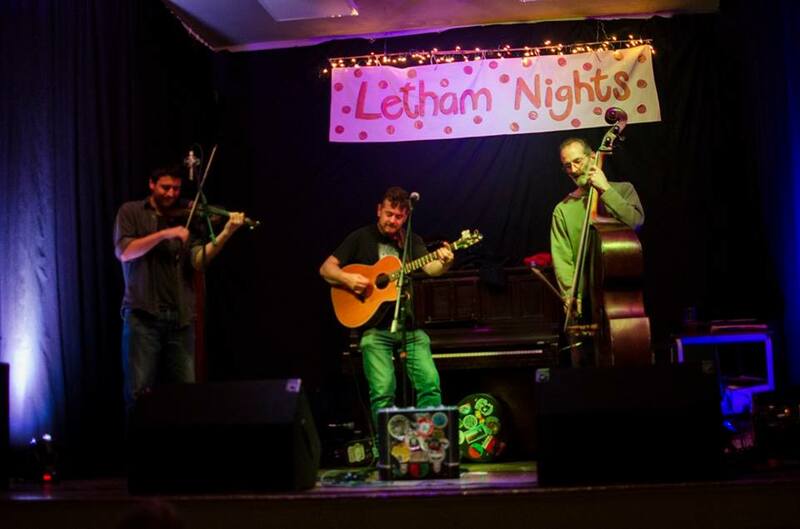 Bet you weren’t expecting that from Letham Nights! Well you know we like to surprise you and it is going to be one helluva show. Tell your friends!! Get booking!! The Year of The Funk! Following on from Letham Nights 62, 2019 is going to be The Year of the Funk! As you know we never like to get stuck in one genre and so once again we thought we would branch out. And we didn’t have to fall far to find a few fab funk outfits keen to come and play. Next up on 29th June we will have the funktastic James Brown Is Annie with their full-fat, calorie-laden, whipped-up funk ‘n soul! More soon! Please clear your diaries for the next ten years. If this was anything to go by the next sixty editions of Letham Nights are going to top anything the world of entertainment has ever seen! 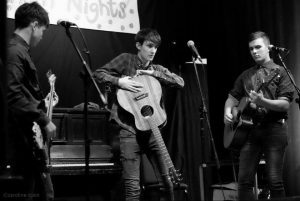 Old friends of Letham Nights, The Banana Sessions, opened for us, and what an intimate and appeeling treat it turned out to be. Roberta Pia and Callum Wood first met over a mutual affection for tea and bananas and have ever since been attempting to save the world using nothing but guitars, stomp boxes and good vibes. 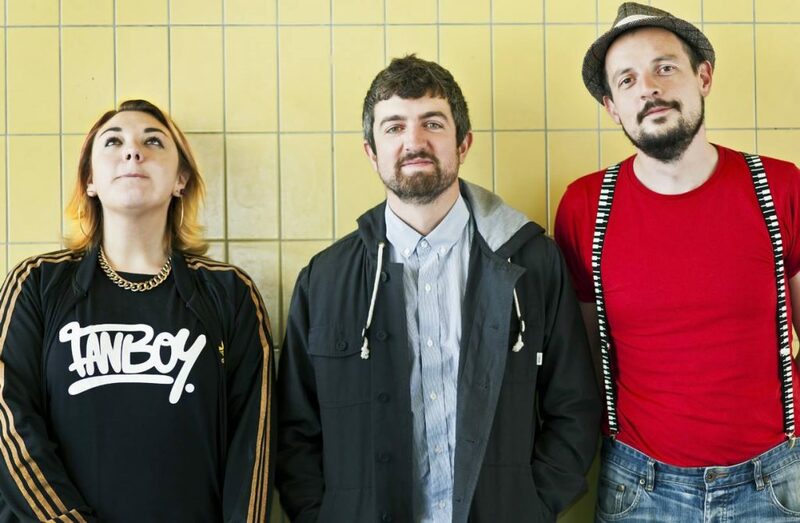 With lively, uncontrived banter, sweet vocals and song subjects ranging from the colour green to ripped up pics of SuBo presented to them in backwater boozers, you can’t fail to be charmed by this band. Usually travelling with a drummer but flying duo for this tour, they nonetheless filled the hall with bonhomie, bon mots and made us all that bit more bon vivacious. Bons moments, indeed! What can you say about She’koyokh that hasn’t been said before. Yes, they are flip-hot players. Yes, they have character and charisma by the bucket load. They’re also thoroughly nice people and good eggs, to boot. 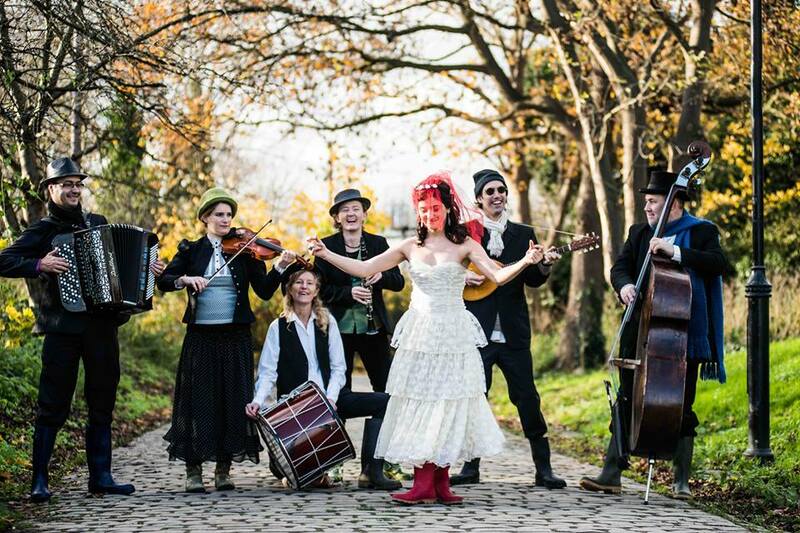 Packed to the gills with virtuosic gypsy mischief, they are bone fide mirth-makers of the highest order. Fitting us in between dates with the Scottish Symphony Orchestra, it was a chance for them to mingle with the more earthy manners and aromas of our musky fold. And did they ever? She’koyokh are every inch the co-operative and would, I’m sure, demur at any talk of front-persons. That being said, Çigdem Aslan leads the vocal line like a Turkish trobairitz. What a voice! From deep Billie Holiday notes to great emotional crescendos containing all the heartbreak of the world, you cannot take your eyes or ears off of her. Meanwhile, pumping away beatifically on the button accordion and chipping in with songs about raspberries (psst, he’s not really singing about raspberries), Živorad Nikolic is every inch the Serbian maestro (and if you have a five year old around the place, he’s happy to have a chat and show off the buttons – what a guy!). Understated, but by no means underappreciated, Christina Borgenstierna beavers away at the back, vivifying myriad mysterious percussion devices; her woodpecker fingers hammering at the skins of that most ancient family of instruments. Over on guitar, meanwhile, Matt Bacon chukka- chucks, wakka-waks and kerrangs his way through rhythm licks and crafty runs like a six-string Adonis. He is also very adept at the recorder! From six-string sass to four-string class, Meg-Rosaleen Hamilton scrapes away at her violin, gathering such pace that, I kid you not, smoke can verifiably be seen rising from her bow. Susi Evans (a.k.a. The Pied Piper of She’koyokh) snake-charms her way through the set with clarinet so hot you could fire ceramics in it! Vigour, ladies and gentleman, and vim were the watchwords. 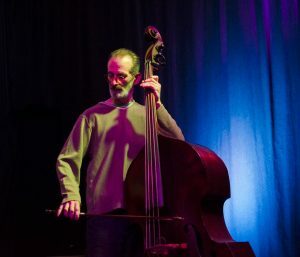 Not forgetting the engine room, where Big Paul Moylan toils away there in the bassment, thrumming his way expertly through the combined musical legacy of half a continent and never letting it go down. What a night, what a noise, what a gang! Nice One! She’Koyokh Are Back! …and so are The Banana Sessions! And it’s a SELL OUT! Please do not make any further online transfers – use the contact details shown to let us know if you wish to be on a reserve list for returns. How do you follow that, we thought, after a magnificent 60th celebration in November with the Bevvy Sisters. But up step She’Koyokh, just as they did after our 50th Letham Nights and we are sorted..! 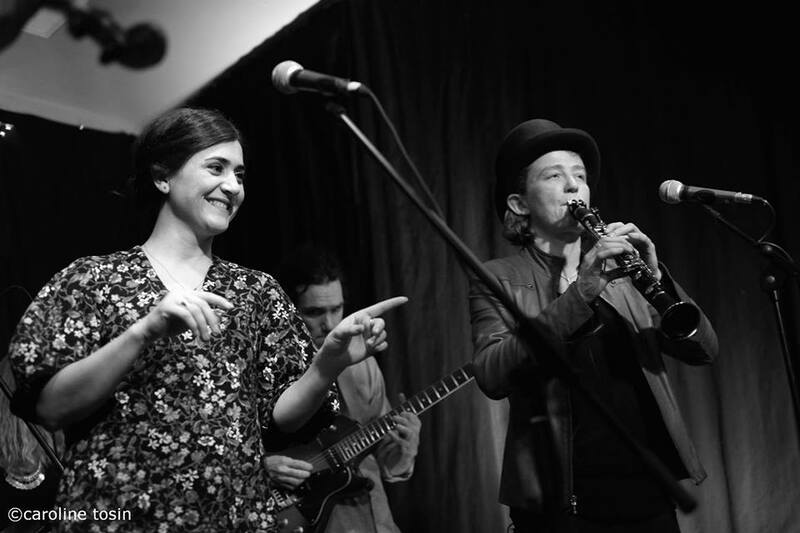 She’Koyokh, as many of you know from first hand experience, are probably the best Balkan & Klezmer outfit in the UK and one of the best anywhere in the world. Returning to Letham, with a full line up this time, the extraordinarily talented Balkan and Klezmer outfit will be sandwiching this gig between two shows with the BBC Scottish Symphony Orchestra in Aberdeen and Edinburgh. When they called us to see if we had a slot, we just couldn’t resist! And as if that wasn’t enough, we are privileged that the outstanding The Banana Sessions have agreed to open the evening for us. Featuring the legendary and wonderful Roberta Pia, this self-proclaimed ‘Weird Band From Scotland’ were putting together a wee house concert tour and our mutual admiration meant that this was a stick-on as soon as it was suggested! “One of the finest and most entertaining British-based exponents of global music” (The Guardian). She’Koyokh has toured the world with highlights at the Concertgebouw in Amsterdam and festivals in Germany, Hungary, Poland, Cyprus, Spain, the Canary Islands and Norway; WOMAD UK, WOMAD Fuerteventura, Sziget and Pannonica Festivals; Fundación Juan March Madrid, London’s Southbank Centre, Aldeburgh’s Snape Proms and live sessions on BBC Radio. Four globally acclaimed albums have earned She’Koyokh the reputation as “one of London’s musical treasures playing the best klezmer and Balkan music in Britain” (The Evening Standard). 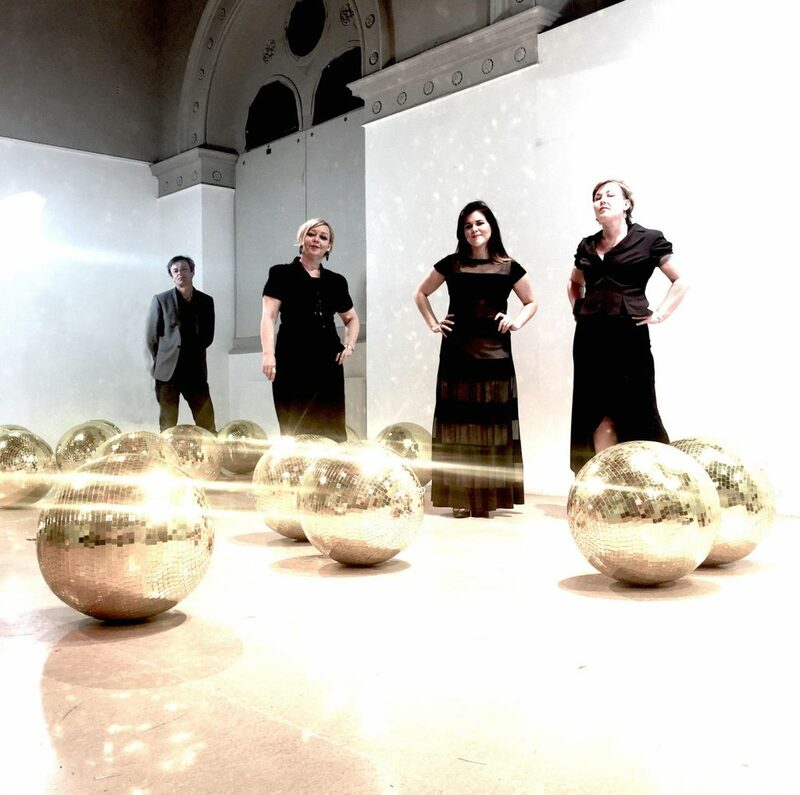 First Dance on Second Avenue was released in 2017 on World Music Network’s Riverboat Records to critical acclaim, receiving a 5 star review in the Evening Standard, 5 stars and Album Choice in fROOTS, 4 stars in the Guardian, 4 stars and Top of the World in Songlines and 4 stars in BBC Music Magazine. She’Koyokh’s previous albums are Wild Goats and Unmarried Women (2014 Riverboat), Buskers’ Ballroom (2011 ARC) and Sandanski’s Chicken (2007 ARC). With seventeen years absorbing and performing the rich folk music traditions of Jewish Eastern Europe, Turkey and the Balkans, She’Koyokh’s shows bring together the stunning polyphonic melodies and intricate rhythms of Bulgaria, treasured tunes from Serbian villages and exhilarating Gypsy dances from Romania as well as soulful Sephardic songs and klezmer music from Jewish eastern Europe. Added to the mix is an Albanian folk song popular in southern Kosovo, a song from south-west Turkey about wild goats and unmarried women, a love song for a Gypsy girl with penetrating green eyes, a beautiful Armenian song about migration and a Yiddish Swing number from 1950s New York. The band formed in 2001 with the support of a Millennium Award from the Jewish Music Institute. In 2008 they were awarded first prize in the International Jewish Music Festival in Amsterdam and have been shortlisted twice for Best Group in the Songlines World Music Awards. In 2012 She’koyokh contributed the material for and led performances with the Aurora Orchestra at LSO St Luke’s, St George’s Bristol and the Brighton Dome. In 2019 they will collaborate with the BBC Scottish Symphony Orchestra and are currently developing a show with the acclaimed South Indian violinist, Jyotsna Srikanth. The Banana Sessions are a band. Not just any band either – the sort of band that haunt your dreams with annoyingly catchy melodies, Beatles-esque harmonies and washboard beats. But don’t let that put you off – if Marmite can win the hearts of many, then so can they. The Banana Sessions exploded onto the Scottish music scene way back when in 2007. Fresh out of music school, Roberta Pia and Calum Wood had met and bonded over tea and bananas and began to write songs about the most mundane topics they could possibly think of – running out of tea bags, the health benefits of bananas, stories about bears in the forest and being chased by imaginary white rabbits. With wild imagination, they stayed up late one night writing their first EP featuring their first ever song, Bananas – they aptly named themselves The Banana Sessions and the rest was history. Early on, they recorded their Prodigy Medley – more commonly known as their ‘tenuous claim to fame’ – complete with a music video to boot. The Prodigy saw the video, Liam Howlett said ‘That’s really cool. I dig it.’ – and they posted it on their website which saw multiple fans flowing in from Eastern Europe and beyond. One band from Bulgaria even did a cover of The Banana Sessions’ cover of Prodigy songs – how’s that for inception?! 2016 saw the release of The Banana Sessions second album, Be Bold and Brilliant, marking the moment that the band transcended into folkier and more mature territory. You guessed it – they got the band back together, only this time as a stripped back three-piece and with guests Euan Burton and Doug Hough on the record. The Be Bold and Brilliant Tour stormed across the UK in true Banana Sessions style and saw the band stronger than ever. 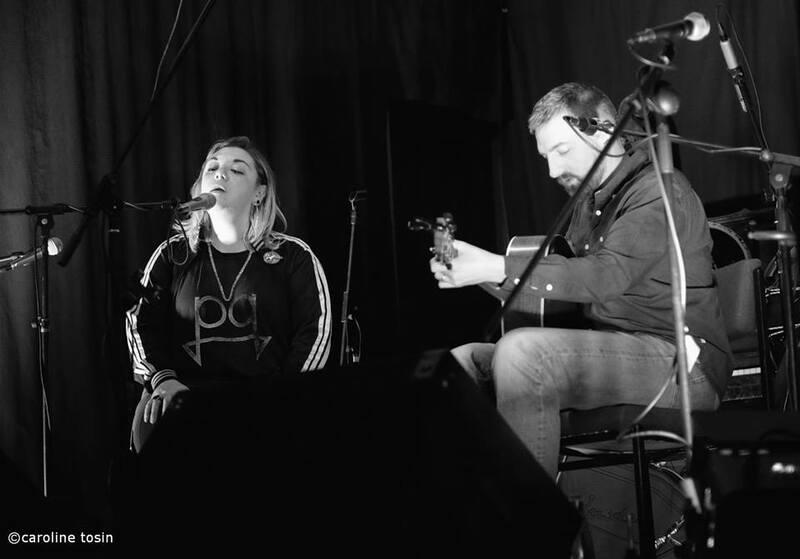 Straight after this, they went back into songwriting mode and spent a weekend in Eyemouth conjuring up a whole batch of new songs and we’ve been keeping them under wraps ever since – until now. Well, as we go to press with this blog, the dates are there but just not quite over the finish line. However we CAN say that 2019 is going to be The Year of the Funk! As you know we never like to get stuck in one genre and so once again we thought we would branch out. And we didn’t have to fall far to find a few fab funk outfits keen to come and play. Just you wait! Not long to go until our 60th Show and 10th anniversary! Help us celebrate! Book your tickets! Sign up to sing! 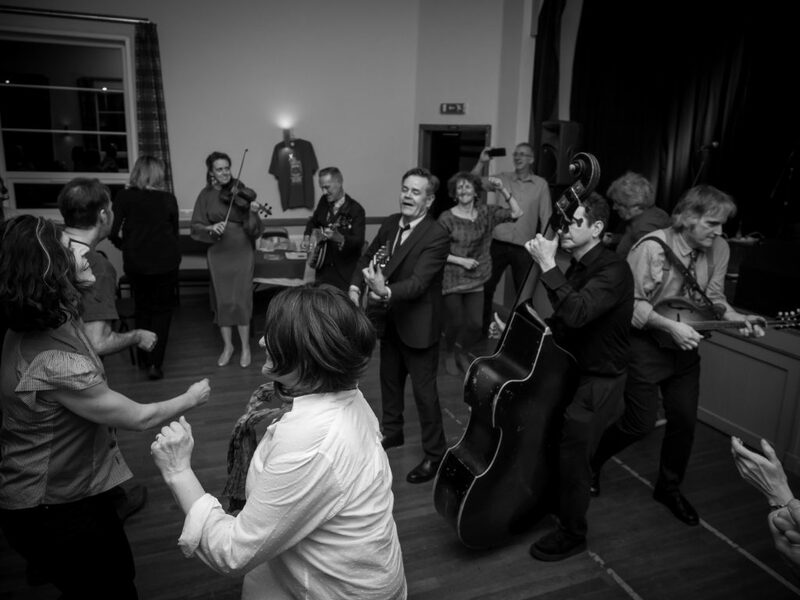 What better way to celebrate our 60th event and 10-year anniversary than to bring back to Letham one of our favourite acts, the Bevvy Sisters for another classy night of swing, jazz, folk and blues with harmonies to die for – this time with a unique twist. The Bevvies will run an afternoon community choir workshop – Letham Voices – who will perform with the band to close the evening! Like to sing? Then get signed up!! We are REALLY excited about this next landmark in our Letham Nights journey. 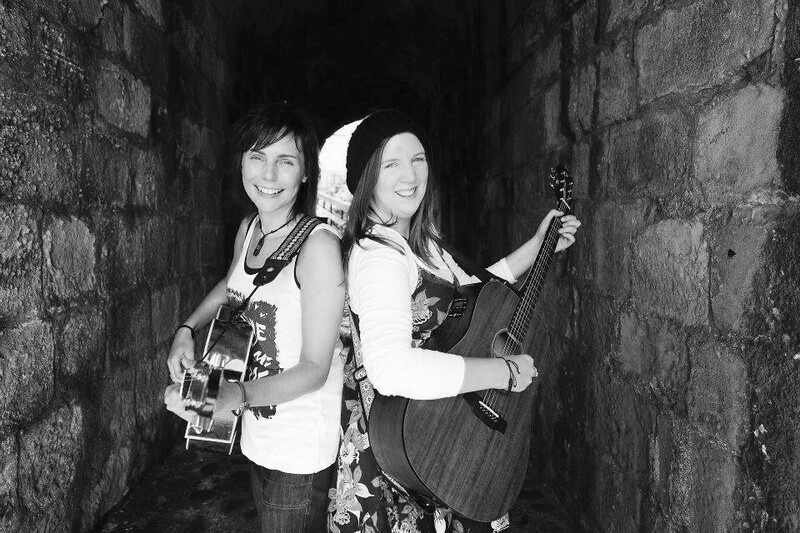 Excited and delighted that the Bevvy Sisters agreed to be the headline act for our 60th event and 10-year anniversary. The Sisters have supported us all the way from early in our development as a venue and so it is all the more important to us that they want to come back this time. Sign Up To Sing – Letham Voices – Community Choir Workshop! To make Letham Nights #60 a special celebration, the Bevvy Sisters have agreed to run an afternoon choir workshop. The choir will take to the stage on the night to close the headline performance. No prior qualifications or experience are required – just bring your voice and your love of singing! The Sisters have just released their new album, This Moment, and are keen to share its delights with us. It was launched in fabulous style at the Queens Hall in Edinburgh with the fantastic Soundhouse Choir, which is run and directed by Heather. During the summer the band worked with Southern Fried Voices at the exquisite and newly renovated Perth Theatre with Blue Rose Code. This was hugely well received. We are delighted to announce that vocalist and songwriter, Dave Webster, one of the 3 frontmen of Dundee’s legendary band, Sinderins, has agreed to open the show with a solo set of his own material. Those of you who have seen Dave perform at previous Letham Nights shows with Sinderins (or previous incarnations Anderson, McGinty, Webster, Ward and Fisher or Luva Anna) will appreciate just what a treat we are in for. Dave’s voice is unique, powerful and affecting and he is a supremely skilled and sensitive songwriter. His voice is extraordinary – otherworldly even – and full of soul. It soars and shifts and tingles the spine in a manner reminiscent of, and yet wholly different from, Jeff Buckley or Ian Gillan. Can’t wait! Returning to Letham with a full line up this time, the extraordinarily talented Balkan and Klezmer outfit will be sandwiching this gig between two shows with the BBC Scottish Symphony Orchestra in Aberdeen and Edinburgh. When they called us to see if we had a slot, we just couldn’t resist! Don’t worry! There is lot’s more in the pipeline…!! 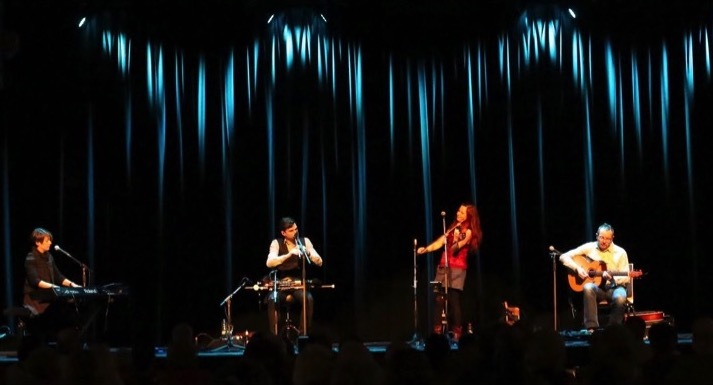 With lead vocalists Gudrun Walther (Germany) and Kim Edgar (Scotland) alongside piano, fiddle, flute, guitar, uilleann pipes and accordion, CARA have been described as “a whole festival wrapped up in one band” (Bruce MacGregor, BBC Radio Scotland). Once again then, we have rooted out an absolutely top quality band to perform in our wonderful wee hall with its warm, friendly and music-loving atmosphere. 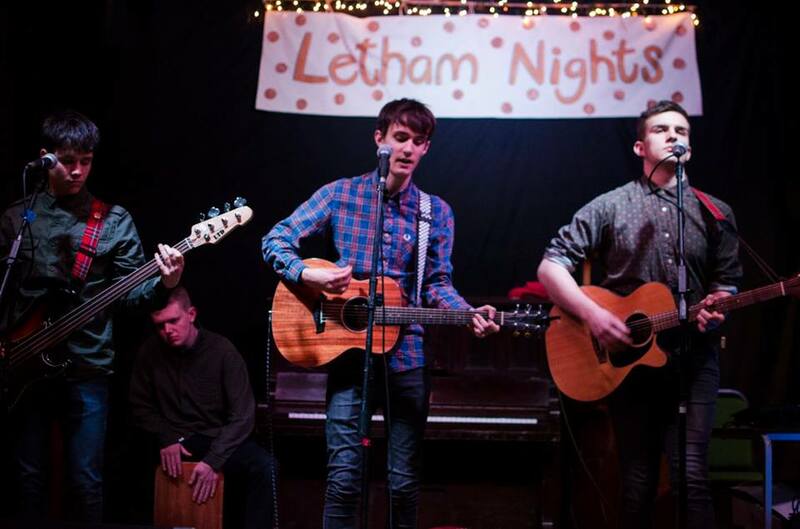 Cara and Letham Nights is going to be a match made in heaven! So come, catch up with old friends, make some new ones, and join in the celebration! The long low rays of spring sunshine lanced their way through open curtains, illuminating dust sprites as they danced and dallied on the ebbs and flows of the evening breeze. Every string had been tuned, thrummed and its waveforms gracefully finessed by science in preparation for the hoe-down. The patrons, regular and irregular, had chosen their pews with care lest cruel Apollo scorch their features and damn their eyes. Drapes were adjusted, tipples gained and the days cares lost as the time of merriment drew nigh. But soft, what light through yonder window breaks? Why, none other than erstwhile Letham Nights favourites and top chums, The Coaltown Daisies! Back where they belong after a long absence brought about by gypsy curses and terrifying diary clashes, it was like Vivienne and Linzy had never been away. Except now they have more songs. They like to mix it up a bit too. Vivienne opens up with her own ‘The Brave One’, with Lynzy backing up with box-hitting and backing vocals. 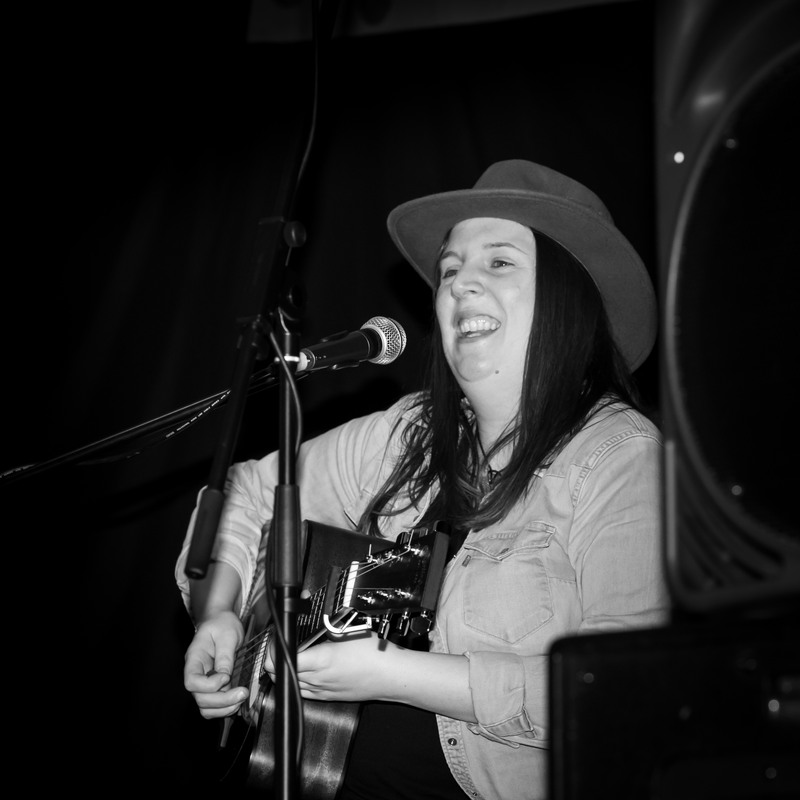 Later Lynzy gets her turn with her beautiful tribute to her mate, ‘Little Jane’. The dynamics continue in their vocal interplay with both of them capable of low soulful notes or soaring operatics, with the other plugging the gaps in between like songful silicon sealant. A cracking Mary Chapin Carpenter cover gets toes tapping, ‘The Whisky Song’ rounds things off boozily and the #bantz, is bang on. We love you, Daisies! The Coal Porters are self-described as alt-bluegrass but that doesn’t mean they don’t have the authentic chops and bona fides. Oh, yes indeedy, Sid Griffin and his band of merry pranksters can forward roll, backward roll, strum, flatpick, pluck and fiddle with the finest of their non-alt counterparts. With four part harmonies and forty eight strings stretched across eight instruments you’d better believe these guys keep themselves busy. As the personnel rotate like a Swiss timepiece at the stroke of the hour, such instant classics as ‘Salad Days’ and ‘Dancing on The Courthouse Lawn’ trip from their apparatus and plant smiles on the faithful below. A cover of Average White Band classic ‘Pick Up The Pieces’ keeps the purists happy whilst their dirgy cover of David Bowie’s ‘Heroes’ carries a much heavier slice of poignancy than the last time we heard it (damn you, 2016!). Come the second set and the tunes keep a coming, the toes keep tapping and dancing ensues. Songs about prison breaks and sitting in jail-houses sit perfectly alongside covers by Adele and The Only Ones and the whole shebang comes shuddering to a gleeful conclusion with the band on the dancefloor giving an acoustic rendition of ‘Teenage Kicks’. What a season, what a night, what a band. 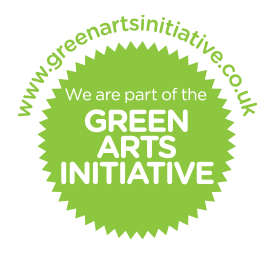 As you probably already know, at Letham Nights, as a proud Green Arts Initiative venue, we are committed to reducing our carbon footprint and creating a zero-carbon village hall. However, this kind of carbon we can cope with…! 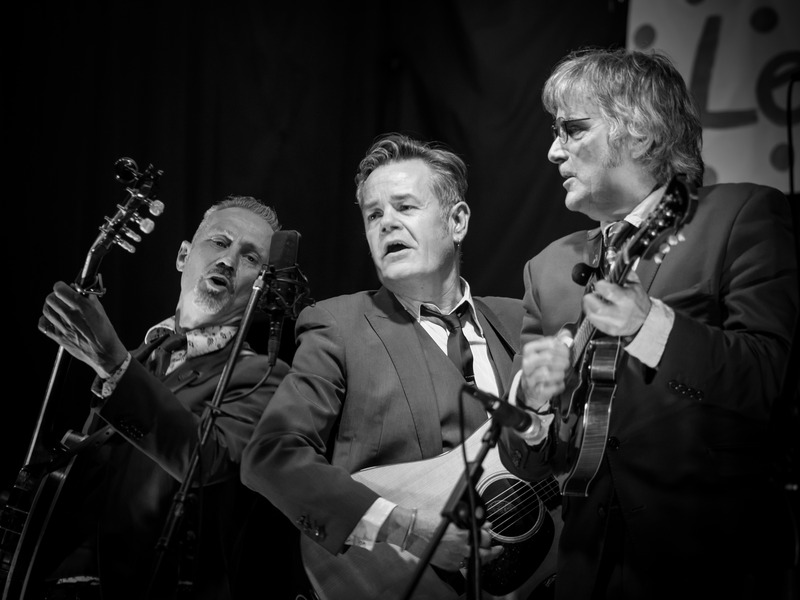 The Coal Porters, making their second visit to Letham Nights, and led by the legendary Sid Griffin, are all set to light up the hall with their unique punk-influenced take on alt-bluegrass. 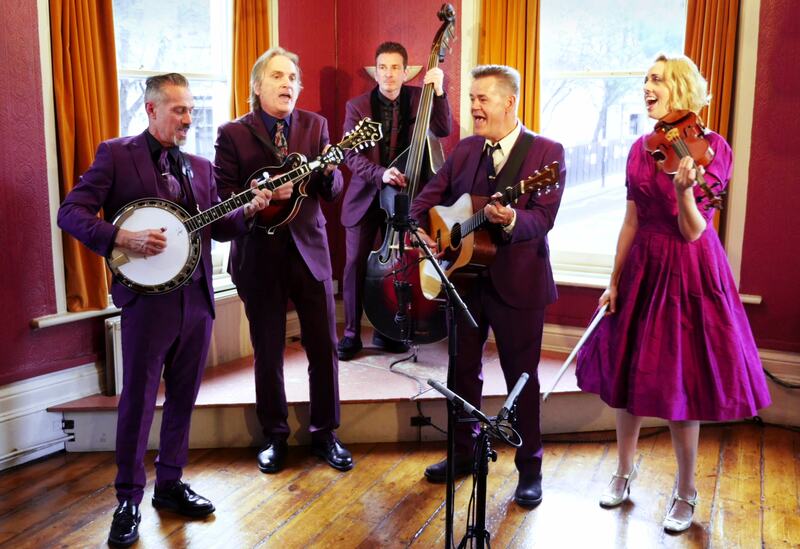 The band demonstrate the power of fiddle, mandolin, banjo, acoustic guitar and doghouse bass when matched with four-part harmonies and memorable melodies. They have taken this sound around the world and have been featured on NPR’s Morning Edition in the USA and having recorded a live session for Bob Harris on BBC Radio 2. 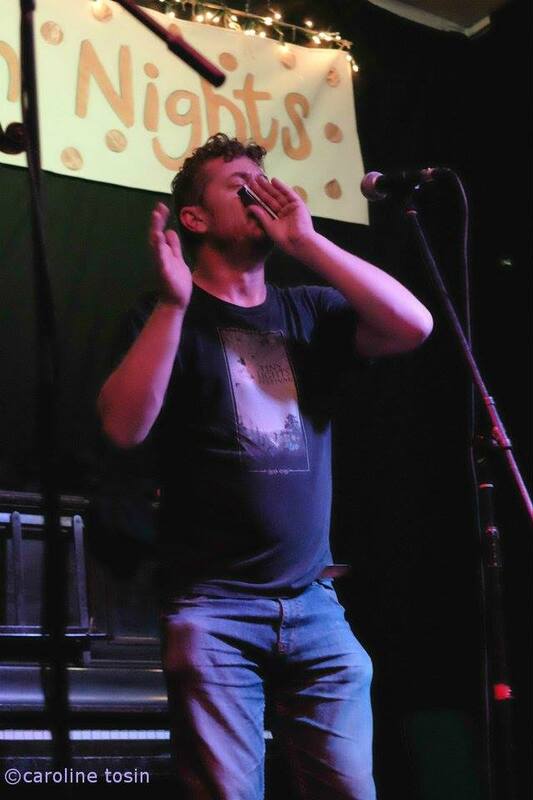 Neil Robert Herd – guitar and vocals. And just to stretch the coal theme a bit more, we have invited the wonderful Coaltown Daisies to open the entertainment for the evening. 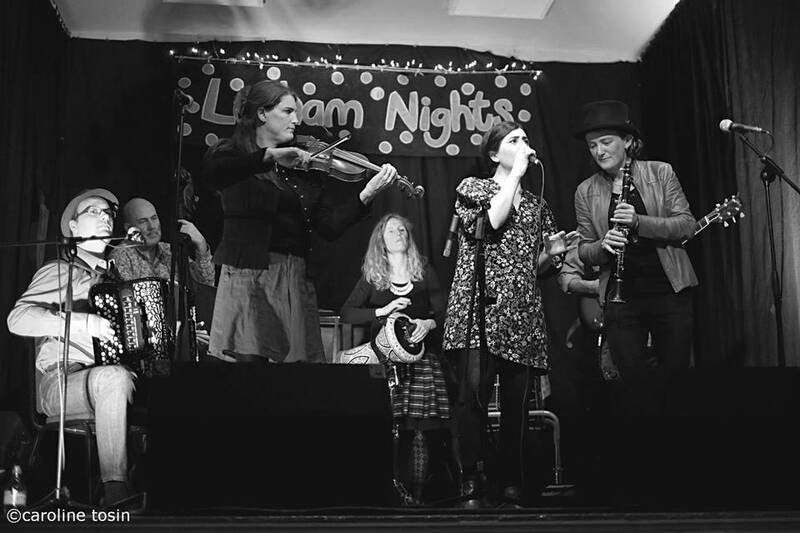 The Coaltown Daisies write and perform dynamic folk, soul and americana music and have tremendous experience as performers, recording artists and event managers. They are renowned for their highly engaging live performances and steady professionalism which has resulted in them performing at sought after venues and festivals all over the country. The records they have released under their own Ragged Boot Records label feature some of Scotland’s most highly established musicians and have been exceptionally well received by listeners the world over; their latest release features a composition that was chosen as the original theme for World Whisky Day and won them the coveted CalMac Culture Music prize. All that coal! It’s going to be a burning hot night! Future Shows – Get the dates in your diary!! We are seriously ahead of ourselves for the rest of 2018 and have some exciting shows lined up. More details later but get these dates in your diary! Soooo excited to have booked the amazing and delightful Gina Chavez. 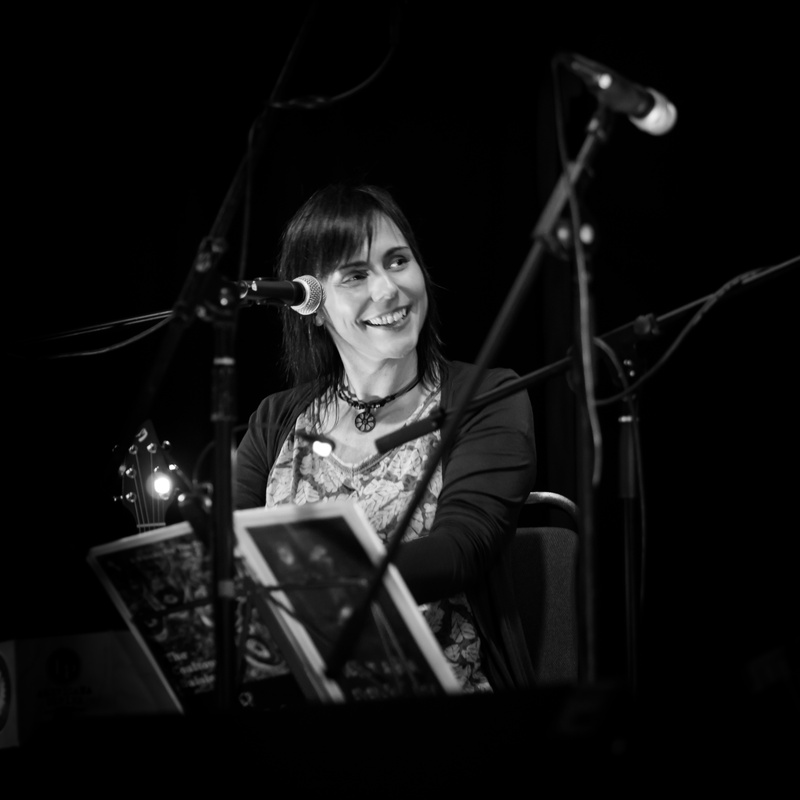 Gina is a multi-award winning artist from Austin, Texas and will bring some cool Latino grooves to the hall. She will be joined by a trio of solo female artists that we know well – Roberta Pia, Cera Impala and Lake Montgomery. 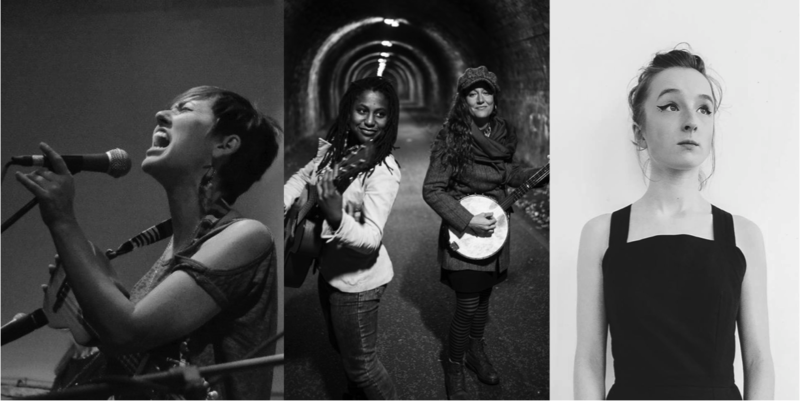 Each will do a solo set and then Roberta will finish this hot, midsummer evening with a DJ set curated by the 4 artists. Phew! When Scottish duo The Jellyman’s Daughter came calling it was hard to resist. Two years ago at LN#40 (go back and read the review!!) this frighteningly talented duo played as openers to Cera Impala and the New Prohibition. We said then that they could just as easily have topped the bill such is their class. And now they are launching their second album, Dead Reckoning, with their own headlining show at Letham Nights on St Patrick’s Night. What a hooley we are going to have! The Jellyman’s Daughter lands squarely in the middle of a strange crossroads between bluegrass, post-rock, folk and soul. 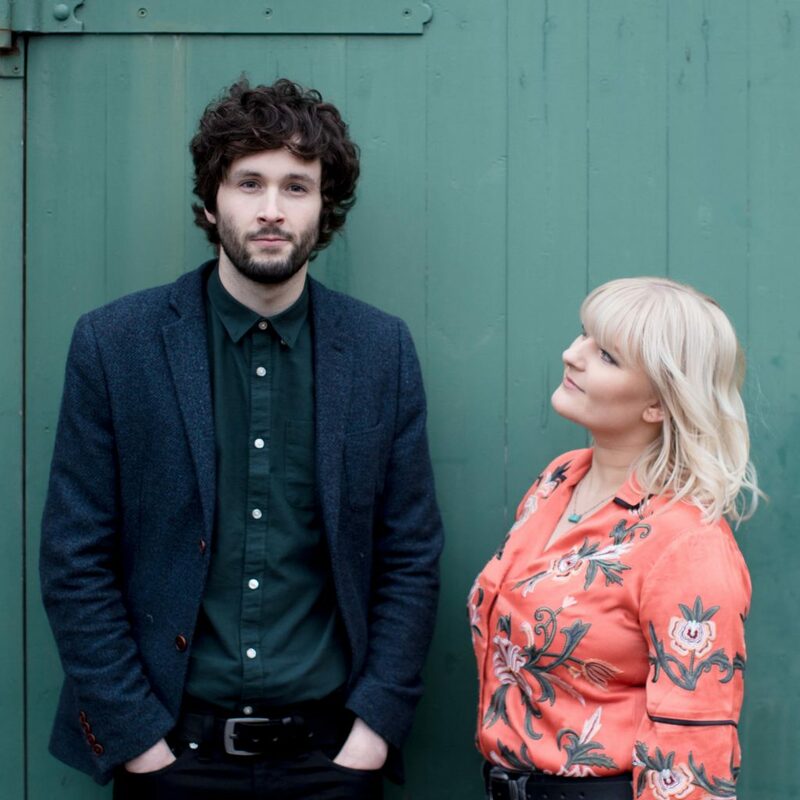 Mixing their unique vocal harmonies with wild and visceral cello, driving guitar and sweet mandolin, Emily and Graham write their songs together with brilliant technical musicianship and beautiful creativity. The result has all the class and quality and spine-tingling soul of any of the great duos in this genre whether it be the Civil Wars or Gillian Welch & Dave Rawlings. And here they are! Right here at Letham Nights on 17th March! Have a wee listen to this and then get booked! 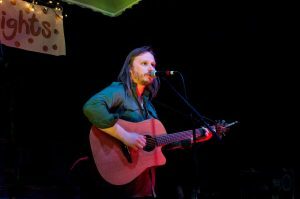 Al Shields is an Edinburgh-based songwriter, with influences rooted in old-time country, folk and blues music. 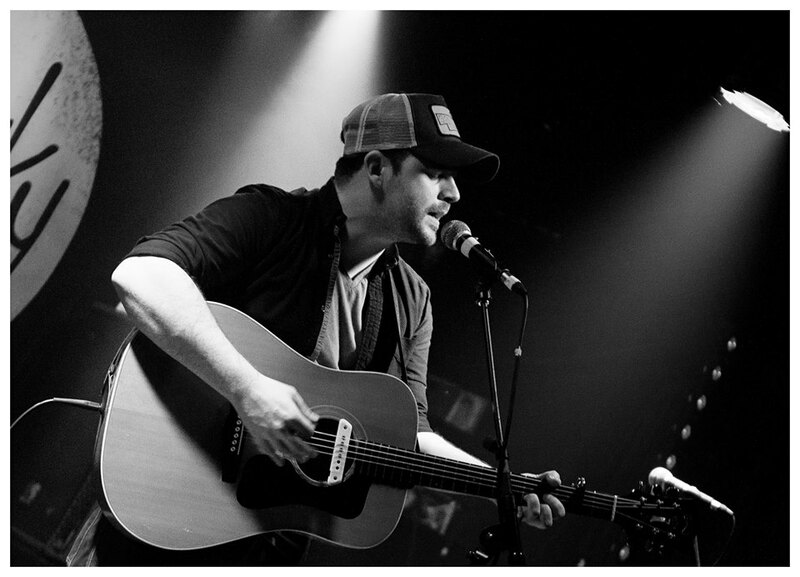 Originally from the small Scottish island of Bute (where he grew up on a healthy diet of country and folk music from his mother’s record collection), Al moved to Edinburgh in 2005, and is a founding member of indie outfit Ardentjohn, with whom he has enjoyed independent success. 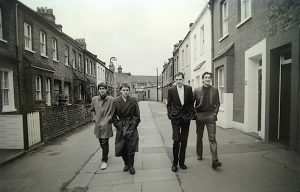 Their debut album ‘On The Wire’ garnered very favourable reviews in mainstream music press, with Uncut magazine describing the band as “refreshing new arrivals”. With the band on hiatus, Al returned to his musical roots, recording and touring his country-tinged solo album ‘Slow Burner’, and gigging regularly with his band The Wilted Roses. He has recently had the privilege of supporting a number of international touring acts, including legendary Bauhaus frontman Peter Murphy, Joe Pug, Neal Casal, Red Sky July, and LA country rockers Dead Rock West.